Out of Pocket Films is an independently owned and operated Television and Film Production Company whose over all function is to cultivate, develop and produce cost effective content that inspires, delights and entertains. With over 78 years of collective Industry experience, Patrick Stack and Brent Huff have demonstrated their ability to fully develop and produce mid-sized budgeted features, documentaries and television pilots. We'll deliver those projects on time and under budget. ... and they are really fun to hang out with! In 2004, Stack produced and co-wrote the award winning short film “Hiding In Walls,” starring Jane Lynch, Jim Rash and Danny Trejo. Stack produced his first feature length film in 2006 titled “Welcome to Paradise” starring Brian Dennehy & Crystal Bernard, and written & directed by Brent Huff. The film received 4 out of 5 Doves from the prestigious Dove Family Foundation. In October, 2009, Stack produced the film noir thriller, “Cat City” which Brent Huff wrote and directed. The film stars Rebecca Pidgeon, Julian Sands and Brian Dennehy and was an Official Selection for the Palm Springs International Film Festival as well as several others festivals across the country. In 2014, he teamed with Huff again to produce the documentary “It’s A Rockabilly World” which is now in distribution in the US and Internationally. They are currently pitching a TV series based on the World of Rockabilly through the eyes of the women who are committed to the retro lifestyle. In addition to film production, Stack has written for Television, has produced 6 “Reader’s Theater” productions of “10x10” which NPR is considering as a weekly program and has produced and is the Host of “All The Right Moves” , an interactive workshop for actors, writers, and every other creative person who doesn’t realize we are all in sales! This looks to be a very busy year for writer/director Brent Huff. Brent is currently in post-production on his documentary film, Welcome to the Beyond”. The film is a shocking look at the life of Hoyt Richards. Hoyt achieved icon status in the modeling industry after graduating from Princeton University only to be brainwashed by a controversial cult based in New York City. 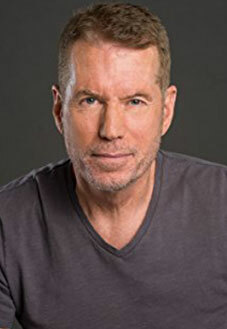 Brent also recently directed the reality show pilot 23 in San Francisco. Brent developed 23 with Lisa Ling, Steve McPherson and Sam Sokolow. The network behind 23 is Freeform. 23 follows six millennial’s living in San Francisco looking to be disruptors in the tech industry. Brent’s much anticipated documentary, It’s a Rockabilly World was released in the fall of 2016 by Virgil Films. It’s a Rockabilly World became the #3 music documentary on iTunes shortly after it was released. This film explores the fascinating subculture of Rockabillies. Rockabilly is a global phenomenon that embraces some of the most colorful characters you’ll ever see as well as the finest music. In 2014 Brent met incredible success with Chasing Beauty, the hard hitting documentary film that reveals the dark side of the modeling industry. After the film premiered on Logo TV, Chasing Beauty quickly became the #1 documentary and #1 independent film on iTunes. Chasing Beauty also enjoyed a successful run on Netflix. BuzzFeed named Chasing Beauty one of the top 10 fashion documentaries ever made.